We’ve all seen fares that seem too good to be true, and some of us have had such fares canceled by airlines. TPG Contributor Mitch Berman explains how you can try to predict whether or not you will experience a cancellation, and exactly what you can do if your great deal isn’t honored. Will Your Flight be Canceled? You already know the answer to this, or rather you don’t, because the answer is: You never know. Recently, many would-be travelers got in on an incredible $360 first-class round-trip from São Paulo to Hong Kong. What happened to them? American Airlines canceled the majority of those tickets. Grounded. Image courtesy of Shutterstock. Of course any airline would want to cancel — those flyers were paying $360 for a flight that retails at more than $14,000. And now those would-be travelers are stranded across 90 pages of posts in this FlyerTalk thread. It seems American’s indecisiveness continued long after the airline waffled several times on the decision whether or not to cancel the flights — the carrier waited so long to actually issue reimbursements that currency rates had dramatically changed in the meantime, and many customers who finally did get reimbursed still lost significant money on changed exchange rates alone. You didn’t get to spend these. Image courtesy of Shutterstock. But that one was canceled, too. And if you think the FlyerTalk thread on the São Paulo-Hong Kong cancellations was stupendous, have a look at this one – 354 pages of postings with more than half a million views! In reality, though, there’s no easy formula. Recently, people got in on some great deals, like the $187 JFK-Dubai/Abu Dhabi round-trip on Etihad late last year. That wasn’t canceled. Many also took the complicated but rewarding $130 one-way from NYC to Milan and then from Prague to Asia, which lasted up until spring of this year. I know because I booked two of them (to both Tokyo and Hong Kong). That certainly wasn’t canceled. But what happens if you’re not lucky, and your flight is canceled? Here’s a primer on what regulations apply and what remedies you have. The DOT giveth, and the DOT taketh away. Then the DOT followed that determination, as our Eric Rosen discussed earlier this year, by promulgating a new interim policy on May 8, 2015, which allows airlines to cancel “mistaken fares” under certain circumstances, provided they offer specific protections to the consumer. The new interim policy cited the earlier undated determination about the “bad faith” and “manipulation” by us consumers. As if this didn’t strike close enough to home, the DOT added that in formulating this new interim policy, it had in 2014 “expressed concern regarding how quickly mistaken fares are spread though postings on aviation and travel websites, forums, and blogs.” Like who, for example? United’s $100 UK-US mistake fare never got off the ground. Can there be any good news for us at all in the new interim policy? Yes, a limited dose. …all consumers who purchased a mistaken fare ticket for any reasonable, actual, and verifiable out-of-pocket expenses that were made in reliance upon the ticket purchase, in addition to refunding the purchase price of the ticket. These expenses include, but are not limited to, non-refundable hotel reservations, destination tour packages or activities, cancellation fees for non-refundable connecting air travel and visa or other international travel fees. The airline may ask the consumer requesting out-of-pocket expenses to provide evidence (i.e. receipts or proof of cancellations) of actual costs incurred by the consumer. So if you spend any money in reliance on that mistake fare — for anything — the airline must reimburse you. If you suspect a great fare may be canceled, you need to be meticulous about saving every scrap of proof of travel expenditure. And if I were one of those AA passengers mentioned above who was burned by exchange rate changes because AA waited so long to issue refunds, I would file a complaint on the grounds that I had not been “made whole” within the meaning of Section 399.88(a) and the subsequent interim policy statement. Though these consumer protections seem broad, in practice it can be difficult to get reimbursed and harder to get reimbursed promptly — even for the ticket itself. First, file a claim with the airline that canceled your flight. The Los Angeles Times published this article last year that includes some fairly elementary advice on how to formulate that claim. Write a letter indicating that your flight (with date and flight number) was canceled and include a table of what you spent on the canceled vacation, together with a copy of the ticket and any receipts, emails and other evidence of those expenditures. You’re going to need to attach these documents to your complaint to the DOT later. Don’t send originals to anyone except for the complaint letters themselves (keep a copy for yourself). As mentioned below with the DOT, the best practice is to create a written hard copy, not to make your initial complaint over the phone or through Twitter. When you’ve filed your hard copy, feel free to follow up over the phone or through Twitter all you want. Using both the formal and informal methods together may get you better results, and it certainly can’t hurt. 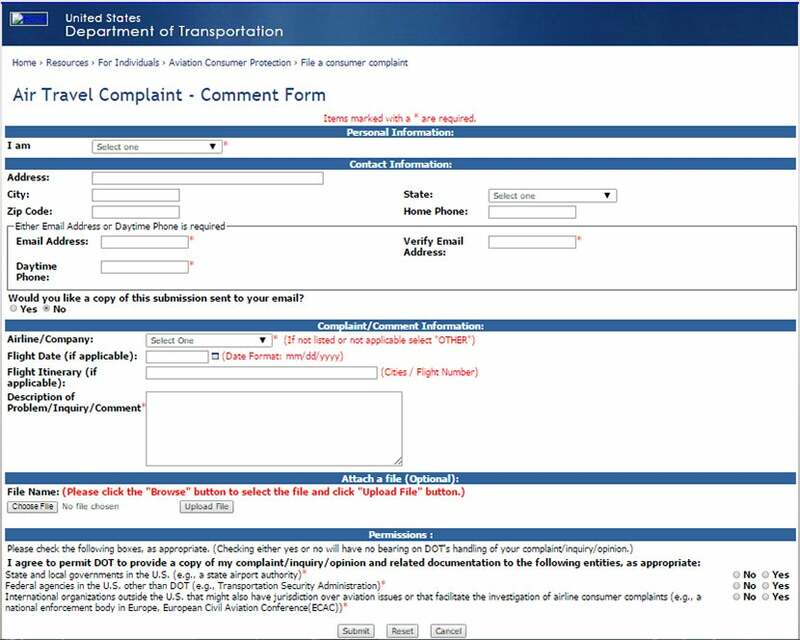 The second action I recommend to anyone whose flight is canceled is to immediately file a complaint with the DOT. The DOT’s online complaint form. The final way to file a DOT complaint is by using its web form. If you do use that web form, however, make sure you get screen captures as you go along, and save copies of all documents uploaded with your complaint. That’s one more reason why your claim to the airline should be carefully written: The DOT’s going to see it too. Keep records of all expenses related to your flight — you might need them later. Image courtesy of Shutterstock. According to the Federal Trade Commission (FTC), the Fair Credit Billing Act provides that you have a right to challenge “billing errors,” which include “charges for goods or services…that weren’t delivered as agreed.” Clearly that description applies to airfare paid for a canceled flight. So immediately after you file your DOT complaint as outlined above, file a separate complaint with the issuer of the credit card that you used to get the canceled ticket. The FTC website above shows you the steps to take. It never hurts to call, but file a written complaint first. Image courtesy of Shutterstock. After you’ve filed your written complaint and given the DOT a couple of weeks to get back to you, go right ahead and call the phone number to ask for a status update. Again, it could only help at that point. 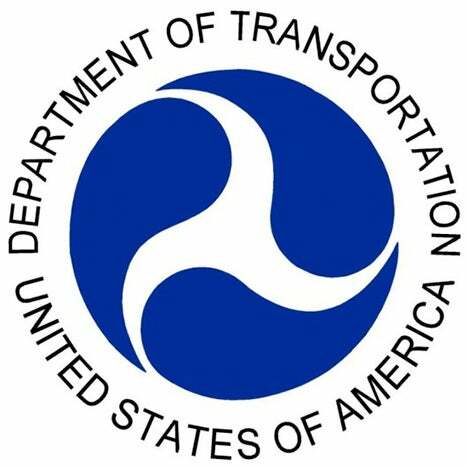 The DOT’s website says you can call “24 hours a day at 202-366-2220 (TTY 202-366-0511) to record your complaint,” and that it returns calls during normal business hours only. Ignore that “record your complaint” part, though! You’ve already done that in writing. It’s tedious to file — and notoriously difficult to collect, even if you win your case — in small claims court, but we’d be remiss if we didn’t mention this option. To file a small claim, you don’t need a lawyer, but you do need to find the rules, fees and required forms in your jurisdictions. Don’t ask for more than your court’s award limit. But consider small claims court your last resort — and hope that you don’t have to resort to it. I’ve written to Blane Workie, DOT’s Assistant General Counsel for Aviation Enforcement and Proceedings over whose signature the new interim policy went out, asking for certain clarifications — as well as when we might see the final version of this policy — but have not yet received an answer. If and when I do, I’ll give you an update. The story remains fluid because the DOT ruling is only temporary until they can elaborate a permanent policy. Once the new policy is in place, we’ll report and analyze it in detail. Stay tuned. Have you ever had a mistake fare canceled, and if so, what happened next?